About three weeks into spring and 40 million Americans are under wind-related advisories, and millions more are expecting blizzard conditions across the Midwest. Parts of Wyoming, Colorado, South Dakota, Nebraska, and Minnesota are expecting heavy snow resulting in blizzard conditions through Thursday. "This is potentially a life-threatening storm," Patrick Burke, a meteorologist at National Weather Service (NWS) in College Park, Maryland, said on Wednseday morning. Parts of Utah, Nevada, western Wyoming, Idaho, and California could see wind speeds approaching hurricane strength on Wednesday, with some gusts up to 74 mph. 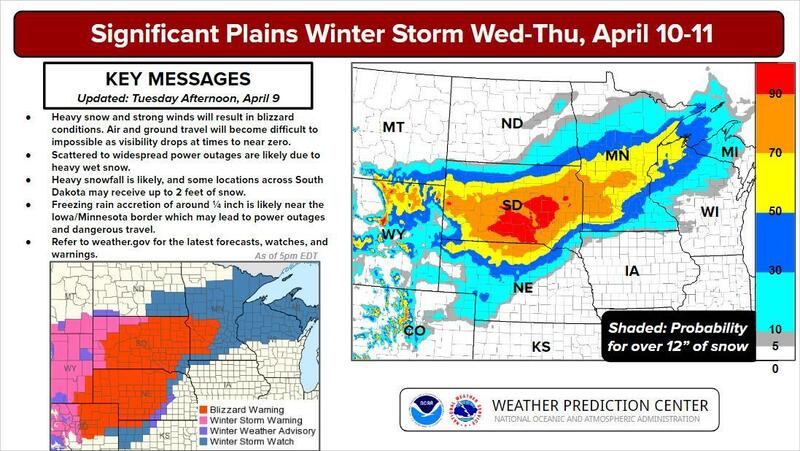 About 4 million people in Colorado, Nebraska, the Dakotas, Iowa, Wyoming, and Kansas are under severe winter storm warnings and blizzard warnings through Thursday morning, NWS said. Flood evacuation orders have already been issued in Oregon and Washington state. 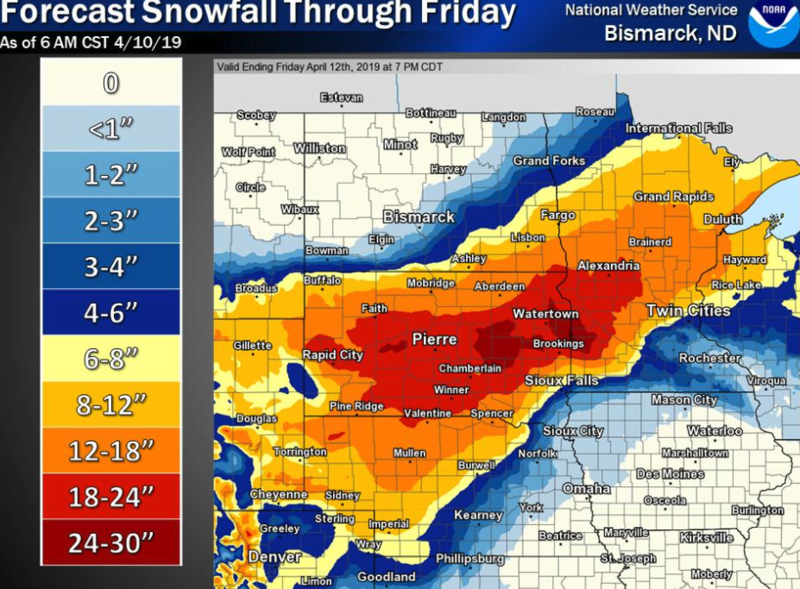 NWS warned that some areas of western Minnesota and southeast South Dakota could see 30 inches of heavy wet snow by Thursday afternoon. 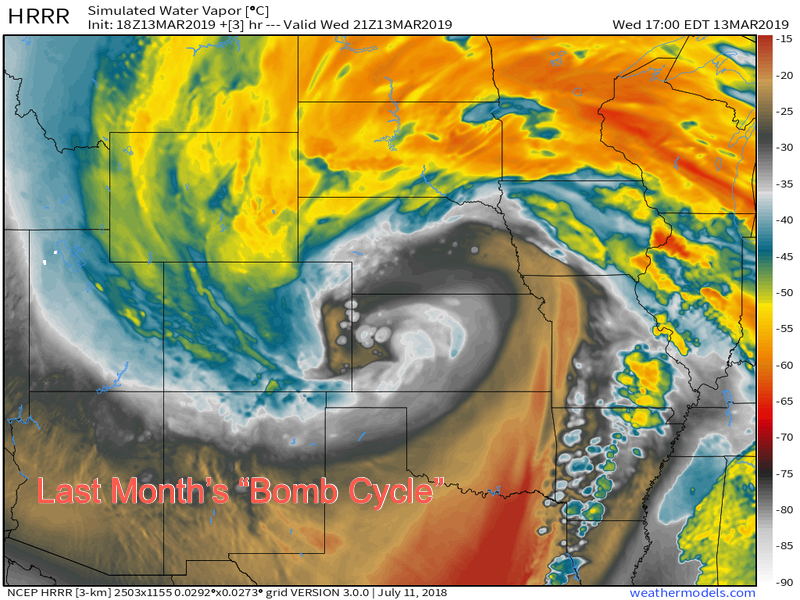 The region in focus is the Central U.S., the same area where a "bomb cyclone" hit last month and unleashed deadly flooding and blizzards. 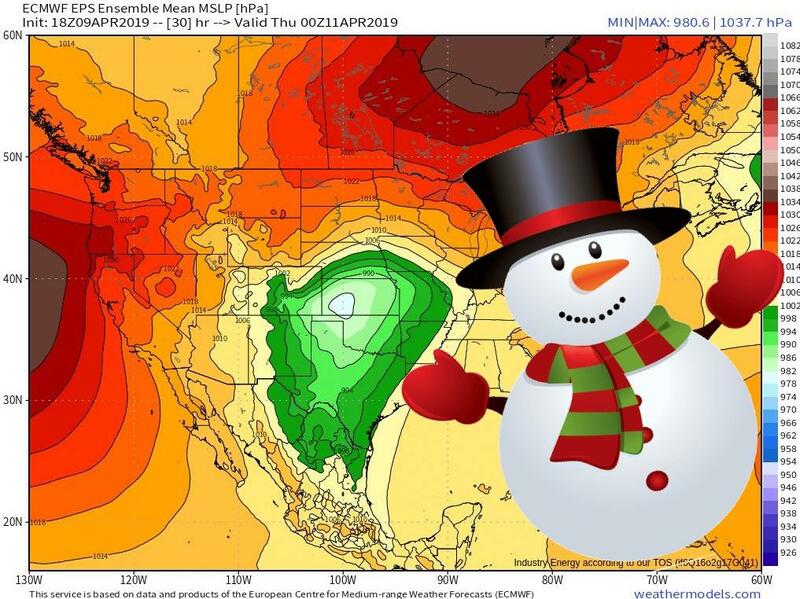 The extreme whipsaw in temperatures on Tuesday in the Central U.S., allowed the storm to supercharge overnight, could be on the verge of becoming a "bomb cyclone" in the next 12 hours. Reuters said the drop in temperatures on March 13 was also responble for last month's cyclone. Regions in northwest Missouri’s Holt County have not yet recovered from last month's flooding which estimates have put the damage into the billions of dollars. The storm is expected to crossover the Great Lakes area and northern Michigan on Friday, bringing more rain and snow to the East North Central U.S.